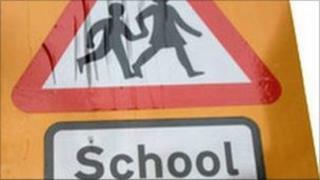 A strategic review of Highland Council's education provision and its school buildings is to be carried out. Detailed proposals will be presented to the council's education, culture and sport (ECS) committee in January. The number of primary pupils has fallen by 8% since 2003, while the number of secondary pupils has remained static. Highland Council currently provides services for 31,325 pupils through 216 schools - 182 primary, 29 secondary and five special schools. Committee members have already been told that of the 183 primary schools in the area, only 11 have buildings rated as being in the highest condition band (category A). A further 57 are in condition category B, 112 in category C, and three in category D.
Highland Council has more than 25% of the category C (poor) primary school buildings in Scotland. A Highland council spokesman said the report to the ECS committee in January would identify the Associated School Groups that should be included within the initial phase of the review. Detailed work will then be carried out to inform proposals for future education provision in those areas. Councillor Bill Fernie, chairman of the ECS committee, said: "The proposals agreed give us a road map for improving the overall provision of education in the Highlands. "The review will be comprehensive and as we move through each area full consultation will be carried out."